James qualified at Bristol in 1979. He then moved to Plymouth to train as a GP, spent 6 months working in a Tibetan Hospital in Northern India before joining South Brent Health Centre in 1987. James works part time and also has medical commitments outside the practice. 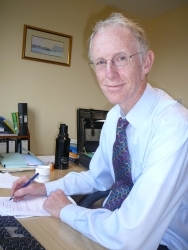 Dr James Hill will be retiring on Tuesday 30th April 2019 after 32 years as GP at the practice! Patients and Friends of Dr Hill are welcome to drop in at the Health Centre on Tuesday 30th anytime between 1pm and 3pm to wish him well. 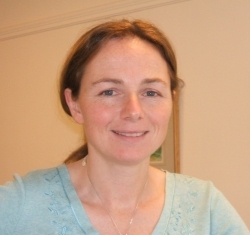 Catherine is the Senior Partner at the practice and qualified in 1984 from Bristol. She has worked in A&E, ENT, Obstetrics & Gynaecology & Care of the Elderly. Cathy did her GP training in Ivybridge before becoming a principal at South Brent in 1990, working half time. She is also involved with teaching Medical Students who spend time at the practice periodically. Tony graduated from Charing Cross Hospital Medical School, London in 1986. He spent 9 years working in a variety of hospital based specialities, including General Medicine, Paediatrics, Anaesthetics, Obstetrics & Gynaecology plus A&E medicine. 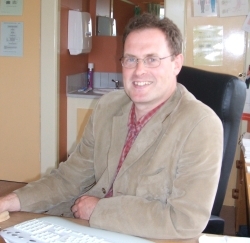 He did his GP training here in South Brent in 1995 and became a GP principal in Totnes for five and a half years before returning to South Brent. Tony has an interest in dermatology and spent five years as a clinical assistant in the Dermatology Department at Torbay Hospital. Tony is also involved in the training of GP's. He is happily married to Sian and they have two children, Seb and Hannah. 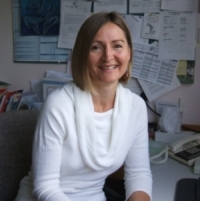 Sarah qualified in medicine in 1992 and did her GP training in Devon. She has worked in A&E, ENT, General Medicine, Psychiatry, Obstetrics & Gynaecology as well as running a hospital in the Himalayas. Sarah works part time at the practice and although consulting in all conditions, she has a particular interest in Diabetes and High Blood Pressure. She is involved with the teaching of Medical Students at the Practice and also teaches at the Peninsula Medical School and is involved in the training of GP's. Dr Will Kumar joined the practice in Autumn 2013 as one of the partners. Dr Kumar previously worked in a Tavistock Practice, he has experience in a wide range of medical specialities & has been working in the South West since 2004. Will is also involved in the training of Medical Students at the practice. Tracy is our Lead Practice Nurse based at the Health Centre . She is available for COPD monitoring, Spirometry, Diabetic reviews, Contraceptive injections, Cervical Smears, Immunisation and travel vaccinations, dressings, removal of stitches, blood pressure checks, health advice & asthma clinics. She is also a Nurse prescriber. When booking your appointment you may be asked the nature of your appointment so the correct length of time can be allocated. Laura is part of the Practice Nursing team based at the Health Centre. She is available for immunisation and travel vaccinations, dressings, removal of stitches, blood pressure checks and cervical smears. When booking your appointment you may be asked the nature of your appointment so the correct length of time can be allocated. Carol is part of the Practice Nursing team based at the Health Centre. She is available for immunisation and travel vaccinations, dressings, removal of stitches, blood pressure checks, cervical smears and diabetes monitoring. When booking your appointment you may be asked the nature of your appointment so the correct length of time can be allocated. Hannah is a Health Care Assistant. She undertakes routine blood tests and is also a qualified Smoking Cessation Advisor. Hannah is also able to undertake Ear syringing and Diabetic Foot checks. Lorraine, Health Care Assistant at the practice. She is a qualified phlebotomist who undertakes routine blood tests as well as monitoring blood pressure. She is also able to undertake audiograms and diabetic footchecks. Karen is a Health Care Assistant. She undertakes routine and INR blood tests. Anna is responsible for all financial matters in the practice, which includes practice budgets, payrolls etc. She is also involved with decision making with the Doctors on all matters that concern the running of the Health Centre. Any complaints/suggestions should be addressed to Anna who will bring them to the attention of the Doctors if she is not able to resolve them herself. Dawn deputises for Anna in her absence and is also assists in the smooth running of the Health Centre as well as ensuring the GP's and staff are kept up to date with policies and procedures. Dawn is responsible for supervising the admin staff at the practice and ensuring reception runs smoothly. Dawn oversees the recruitment and training for admin staff and the on-going development of IT in the practice. Frances' role as admin assistant covers the daily scanning of patient correspondence. She also oversees the flow of patient notes when patients register or move away. Frances also covers reception when required. Tracey is a practice administrator who also works as a receptionist. Caroline is part of the reception team at the Health Centre. Tessa is part of the reception team at the Health Centre. Kelly is our Reception Team Leader, she also looks after the IT within the practice. Lorraine's main role as Medical Secretary involves typing the referral letters to secondary care. She is also involved in other administrative tasks including helping on the reception desk when required. The Community Midwife is currently covers our Health Centre and holds ante-natal clinics fortnightly on a Wednesdays and Fridays. Community Matron Caroline Coombs is based at this Health centre, and supported by Jane Butland with Hilary and Adreana. The Community Nursing Service operates seven days a week and messages may be left at reception or by selecting the message option on the main Health Centre telephone number during opening hours. Urgent messages will be responded to the same day. Patients already on the nursing caseload are able to contact the Community Nurses direct by mobile phone if necessary. Penny Kennedy & Helen Norris are the Physiotherapists who cover two days a week at the Health Centre. If you feel you would benefit from physiotherapy please either complete a self referral form available from reception or make an appointment to discuss this with one of the doctors. A qualified Counsellor visits the surgery fortnightly. If you are anxious or have a problem and feel you would benefit from talking to a counsellor please make an appointment to discuss this with your doctor who would refer you to Barbara if appropriate. An NHS Podiatrist visits the health centre every Wednesday & an NHS Podiatry Assistant visits fortnightly on a Monday. In order to see the Podiatrist, you must be referred by either your GP or another Health Professional. Please note that appointments for both these services are not made from the health centre and patients can experience long waiting times for non urgent referrals. Please refer to the section on this website titled "Useful Services" to find out more about Chiropody services locally.